Calling all jewellery lovers and die-hard magpies who love all things sparkly! You can now get your hands on these fabulous pieces of jewellery for FREE from Jouellerie. Please note, postage costs £3.99. 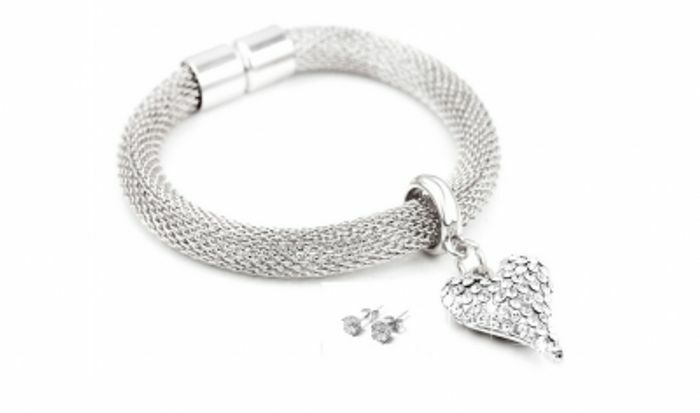 This gorgeous set comes with a bracelet and earrings made with Swarovski elements! You could wear this bracelet as part of an outfit for any special occasion, or wear it to jazz up a simple everyday outfit. The possibilities are endless! For your chance to bag one of these sets, follow the link to the offer and click 'add to cart'. view your cart and head to checkout. Postage costs just £3.99! Pop your details and address in and your fabulous new accessory will be delivered straight to your door. Still shows as 9.99 even when you go to pay.